This was a very interesting round of voting. The Staff Choice winner was decided in the first few hours as the winner rushed out to a massive lead and no one ever got close. The Readers’ Choice contest, however, was a much harder fought battle. No one sprinted out to take the lead. In fact, the lead changed hands several times throughout the first day. Four nominees stayed within striking distance of each other right until the end. One of them pulled out to a tenuously small lead that looked like it was going to hold. That is until one of the other nominees had a final push of votes and in the final moments of the voting period managed to match votes just as the poll closed. This round of voting was unprecedented for many reasons including our first ever tie. After some debate that ranged from a run-off poll to granting each performer an article, we finally settled on a solution. It was decided that both performers tied fair and square meaning that both deserved to be honored. So, for the first time ever, the Readers’ Choice will be represented by 2 winners. 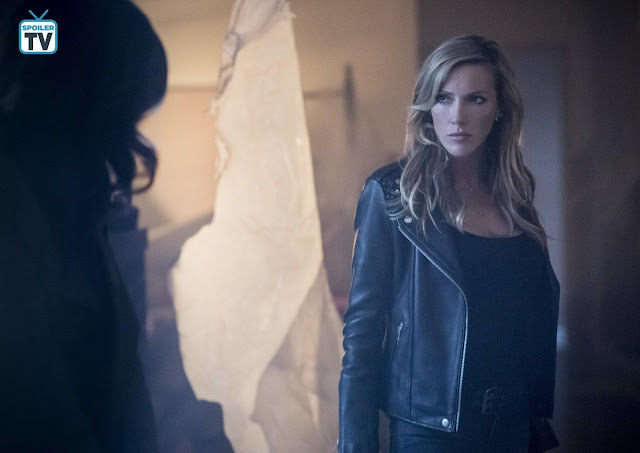 The first Readers’ Choice Performer of the Month of October is Arrow’s Katie Cassidy who plays Earth 2 Laurel Lance and her alter-ego Black Siren. Cassidy has been an integral part of the show since the very beginning. She was the original Black Canary before the unfortunate death of the original Laurel Lance. After some time away from the series she returned in a recurring capacity as the Earth 2 Laurel Lance and soon after reclaimed her status as a series regular. Her characters on the show have ranged from heroic to evil and she has portrayed both with equal amounts of charisma and fierceness. While the original Laurel Lance had her faults she was a hero at heart while Black Siren did some horrific things that she is no trying to repent for. She’s trying to turn over a new chapter in her life, which is giving Cassidy some phenomenal material to work with. The episode she won for, The Longbow Hunters (7x2), beautifully showcased the change and shift in the character. It also brought light to the struggle going on inside of Laurel between light and dark. Cassidy captured that struggle with such powerfully real emotions that it made even naysayers look up and take notice. This is a true redemption arc and one that is giving Katie Cassidy powerful material to work with and she’s taking full advantage of the opportunity presented to her. For all these reasons and all the reasons that will be noted in her winner article, Katie Cassidy is one of SpoilerTV’s Readers’ Choice Performers of the Month of October. 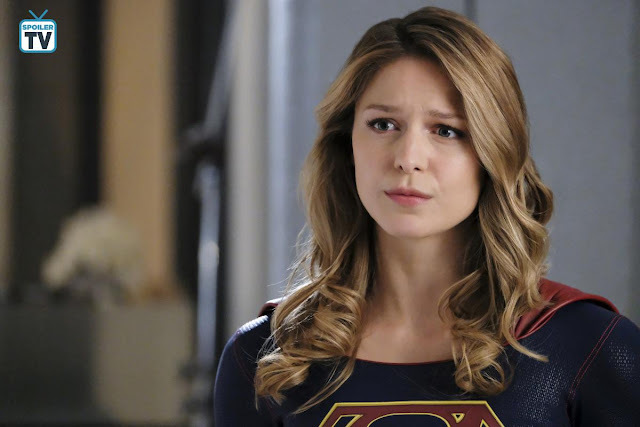 Melissa Benoist has been known for her strong portrayal of Supergirl, showcasing the Girl of Steel’s superpowers and empathy as the beacon of hope National City. However, it is for her brilliance and impeccable comedic timing as Kara Danvers in Fallout (4x2), that she is being recognized as one of SpoilerTV’s Readers’ Choice Performers of the Month for October. In this episode, it was in Kara’s awkward, geeky attempts to slip away from Lena and Miss Teschmacher to become Supergirl during Mercy’s attack on LCorp, that Benoist shined. Her performance was very Christopher Reeve-esque in style, creating a wonderful homage to the actor and his Clark Kent alter-ego. Congratulations to Melissa Benoist for being selected one of SpoilerTV’s Readers’ Choice Performers of the Month of October. 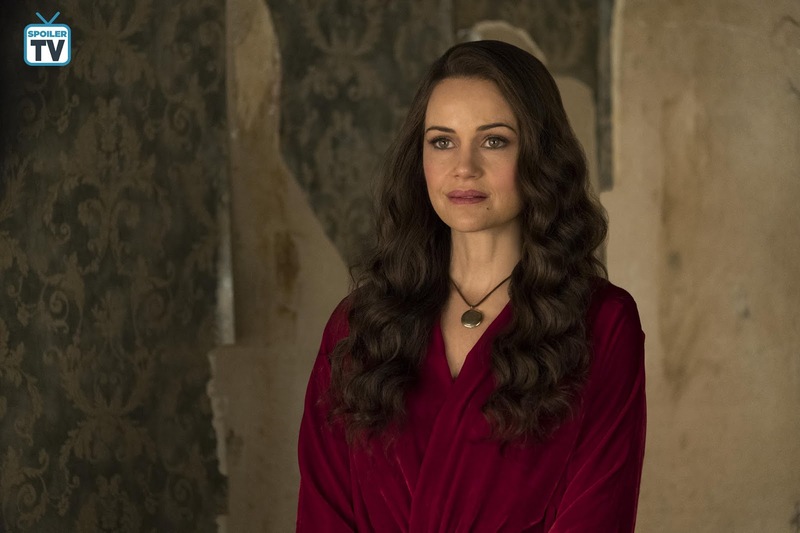 The SpoilerTV Staff Performer of the Month for October is Carla Gugino for her performance in the ninth episode of The Haunting of Hill House. She was absolutely untouchable, basically winning in a landslide, although her TV daughters Victoria Pedretti and Katie Siegel tied for the runner up position. The Crain family have certainly captured our hearts. Carla Gugino has played a mother figure (Spy Kids, San Andreas, The Space Between Us) before. She’s also previously played a woman trapped against her will fighting to survive (Gerald’s Game, Wayward Pines). But nothing could have prepared us for her performance as the doting, dangerous Olivia Crain. It requires a rare artistry to create a character that we simultaneously want to run away from and run back to. In Screaming Meemies (1x9), Gugino draws us in with her mesmerizing, horrifying portrayal of a woman being slowly broken into pieces. And yet she never ever lets us forget the person we and the Crain children adore is still there within the lost creature she becomes. Carla Gugino has created a ghost that will haunt us forever, which has earned her the title of SpoilerTV’s October Staff Choice Performer of the Month. The winner articles for Katie Cassidy, Melissa Benoist, and Carla Guigno will be released later this month. In the meantime feel free to use the comments to discuss this unprecedented tie, all these brilliant nominees, and these incredible winners. This month saw a strong turnout for nominations producing a very strong list of nominees. 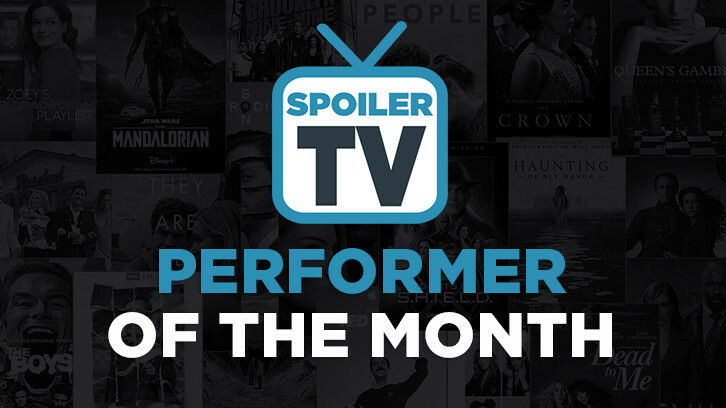 Now it's time to determine who will be our October Readers' Choice Performer of the Month. The results will remain hidden for the duration of voting. The results of this poll and the Staff voting will be revealed after the poll closes. Now comes the hard part where you can only vote for 1 performer. The poll will be live until Sunday, November 11th at 6 pm ET. After you vote be sure to make a pitch in the comments section for what the performer you voted for most deserves to win.